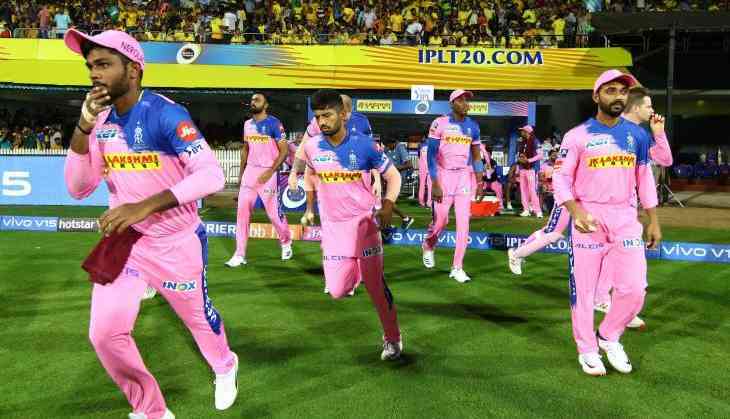 One of Rajasthan Royals or Royal Challengers Bangalore – the only two winless teams so far – will register their first win of the season at the end of Match 14 of VIVO IPL 2019. Both teams have played three matches each but are yet to taste any success. The Rajasthan Royals have come close to victory in all three matches – but have failed to nail the crucial moments or have let the match slip from their clutches at an important juncture. In their most-recent match in Chennai, they had the Chennai Super Kings on the mat at 27 for 3 but let them escape to 175-5. Then, they had the run-chase under control before losing a couple of wickets which let CSK in; RR needed 12 runs in the final over, yet they fell short by 9 runs. Royal Challengers Bangalore have had two disastrous outings. After the embarrassing loss to Chennai Super Kings in the season opener, captain Virat Kohli looked towards the brighter side and said the one poor game of the season was out of the way, and that his team would only fare better in the rest of the season. Then, after snatching defeat from the hands of victory against the Mumbai Indians, they suffered yet another humiliating defeat when they conceded hundreds to David Warner and Jonny Bairstow, and lost to Sunrisers Hyderabad by 118 runs. The Rajasthan Royals are not doing too much wrong; they have a solid side, and just need their players to handle the crunch moments better. The one major concern for the team management will be the form, and the handling of Jaydev Unadkat. The left-arm pacer, who has generally been introduced into the attack in the back half of the innings, has gone for plenty of runs; against Kings XI Punjab, his three overs cost 44, against Sunrisers Hyderabad he conceded 26 in three overs, and in the previous match against the Chennai Super Kings, he received plenty of punishment at the hands of MS Dhoni and conceded 54 in his four overs. The only other Indian quick RR have in their ranks is Varun Aaron; it will be interesting to see if the team management decides to change their combination, and opt for the pace of Aaron, who has an economy rate of 8.67 in the IPL. Royal Challengers Bangalore have won just 9 of their 31 matches in the last three seasons. For such a popular side – led by the Indian captain, those are extremely poor returns. Year after year RCB pick quality players; yet, for some reason, the team often rides on the performances of two or three players. RCB will be boosted by the availability of Marcus Stoinis and Nathan Coulter-Nile for selection. The team has had three different opening pairs in their three matches, and there’s a good chance it could be four in four; RCB could use Stoinis to open the innings. RCB need to first discover means to win, and then turn that into a habit. Rajasthan Royals: Ajinkya Rahane (C), Jos Buttler, Sanju Samson, Rahul Tripathi, Steve Smith, Ben Stokes, K Gowtham, Jofra Archer, Shreyas Gopal, Jaydev Unadkat, Dhawal Kulkarni. Royal Challengers Bangalore: Parthiv Patel, Shimron Hetmyer, Virat Kohli (C), AB de Villiers, Moeen Ali, Shivam Dube, Colin de Grandhomme, Prayas Ray Barman, Umesh Yadav, Mohammed Siraj, Yuzvendra Chahal.